An opening reception at White Walls in 2014. A moment of rage overtook Oakland artist Jessica Hess while attending one of the art world’s foremost gatherings. She was at Art Basel in Miami, in 2012, and her roommate had just called from their home in San Francisco. It was bad news: For years, Hess had been trying to retrieve thousands of dollars owed to her by Justin Giarla, former owner of three popular San Francisco galleries, including well-known street-art hub White Walls. But a bank letter had arrived in the mail that day, and it stated that his account was closed, which meant that — after a lawsuit, court appearances, and chasing down Giarla’s assets all over California — she still wouldn’t see a dime. The Oakland-based artist says she started shaking after hearing the news. “My blood ran cold,” Hess recalled. As it so happened, her gallery representative’s booth at the event was right next to White Walls’ table. She could even hear Giarla’s voice through the dividers, which she says made her nauseous with anger. And that’s when she snapped. Officials escorted Hess out of the fair and asked her not to return that year. When word spread of the incident, there were some in the Bay Area art scene who sympathized. But most called her crazy. That’s because, when it comes to San Francisco low-brow galleries, White Walls was the pinnacle. Going against Giarla meant career suicide. But now, years after the Hess blow-up, more than two-dozen artists have come forward, claiming that Giarla also scammed them out of payment for work sold at White Walls. Five artists have sued Giarla and either won judgment or settled. Giarla isn’t talking about the so-called art scam. But, in court, he’s agreed recently to six-figure settlements. Now, artists who exhibited at his gallery described to the Express how he dodged phone calls and demands for money, and that he manipulated them with tales of debt and despair. Some artists challenged him, but most victims kept quiet. That is, until this past August, when Giarla sold his Tenderloin-neighborhood property for more than $3 million — and then disappeared. Jessica Hess was the kind of teen who would constantly flip through the pages of Juxtapoz Magazine, enamored by the glossy features. Juxtapoz is the street-art bible — the glue that merges muralist and celebrity, oil painter and pop-culture icon. It’s the kind of publication that readers appreciate as much for its content as the full-page ads. And White Walls always had those big ads. Justin Giarla opened Shooting Gallery in 2003, followed by White Walls in 2005, and later 941 Geary in 2010. Eventually, 941 Geary closed, and other two became “White Walls & Shooting Gallery,” but known to most simply as White Walls. Oakland artist Jessica Hess was one of the first to blow the whistle regarding the con game at White Walls gallery. With an edgy vibe and a focus on the increasingly popular street-, outsider- and low-brow art markets, his galleries grew to be huge successes. Shepard Fairey (the uber-famous artist behind the Obey Giant brand and the Obama “Hope” poster) had two solo shows with Giarla in 2006 and 2008, which drew hordes of fans. Artists with cult followings flew to the Bay from all over the world to show at White Walls, often selling pieces for $20,000 or more. The Geary Street building that White Walls moved in to in 2013 featured multiple gallery rooms, plus artist studios in the basement and apartments upstairs. There was even a rooftop venue for soirees. Artists who frequented the space said that opening receptions often would evolve into wild late-night parties. 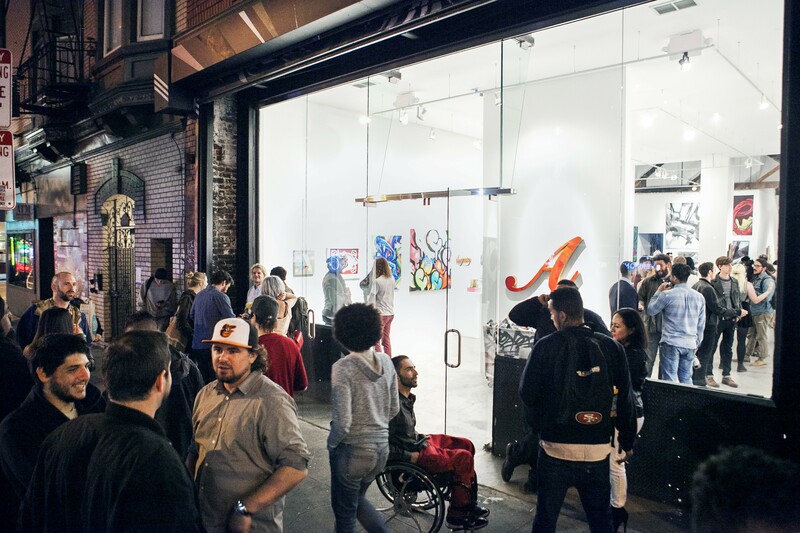 Oakland artist and former White Walls assistant director Lauren Napolitano described the gallery as a hub of the Bay Area art scene, a place where she aspired to show her work as a younger artist. “When I first started working there [in 2011], it was like any artist you wanted to know in San Francisco, or any artist you wanted to meet, would probably come through there at some point,” she told the Express. So, when a 29-year-old Hess received a call from a White Walls publicist in 2009, asking her to participate in a two-person show, she immediately agreed. Who wouldn’t? Today, Hess is headstrong, with short, choppy black hair, and few inhibitions when it comes to speaking her mind. She specializes in photorealistic oil painting, and has become popular for rendering photographs of graffiti onto canvases. But in 2009, she was a little-known artist based in Boston. Emboldened by a sense of opportunity, she decided to move to San Francisco, rather than simply fly out, for the White Walls show. According to Hess, only two of her paintings sold at that first exhibit, and at a large discount. Still, a year later, Giarla invited her back to do a solo show at the gallery, scheduled for September 2011. “That was the show I didn’t get paid for,” Hess said. She says that, at first, Giarla “seemed really nice.” She was broke at the time, and needed a part-time job in order to make rent. Out of fear that she wouldn’t paint enough work to fill the space by her deadline, she asked him to turn the solo exhibition into a two-person show. He refused. Instead, he gave her a $1,800 advance. “‘I’ll take care of you,’” she recalled him saying. She pulled off the show. But by opening night, her bank account was back at zero. And that’s when she says her relationship with Giarla began to sour. Hess’ parents had flown in from North Carolina for the opening. It was a big moment, a chance to prove that being an artist was a respectable profession. But at the debut, Hess says that Giarla spent the majority of his time in his other gallery, celebrating a different reception. And, as Hess and her parents left White Walls, she says Giarla stumbled out of a bar down the block and vomited in the street right in front of them. “I was mortified,” she said. According to Hess, Giarla took off for a vacation in Bali after the opening, and he was absent for the majority of her exhibition. When he returned, she showed up at the gallery to ask for her share of the sales, knowing that if she was late paying rent one more time she would be evicted. Hess says that Giarla agreed to pay for the framing of her work, and that he also promised to ask permission before offering discounts of more than 10 percent. But she says he deducted both the cost of framing and also gave larger discounts to customers. Despite this, and minus the amount of her advance, she says he owed her $8,675. But Giarla didn’t have her money. She says he only offered her $1,500. By all accounts, Giarla was mostly friendly. But multiple sources, including former employee Napolitano, said that he had a short fuse. Justin Giarla owned the most popular counter-culture art gallery in the Bay Area. Now, dozens of artists from all over the world say he denied them hundreds-of-thousands of dollars for artwork sold at White Walls. In 2004, Giarla was arrested at Shooting Gallery for allegedly selling drugs. According to the San Francisco Chronicle, when the police confronted him, officers found cocaine, meth, and ecstasy behind the counter, and a loaded 9mm Glock handgun in a desk drawer. (The police also seized a bulletproof vest with a shell casing embedded in it, but later returned it upon discovering it was a sculpture.) When Giarla pleaded not guilty to three counts of possession of narcotics with intent to sell, a group of artists came to the court to cheer him on, and he blew them kisses from the stand. This story is now legend in artist circles, and several sources even brought it up during conversations with the Express. Clearly, Giarla wasn’t some snobby gallerist backed by old money or big investors. Eventually, though, he’d need more cash to fund his lofty ambitions. In March 2011, White Walls opened a solo show by a British artist who goes by Ben Eine. Even those who aren’t familiar with Eine’s name have likely seen his bold, technicolored, block-letter artworks. In 2010, former United Kingdom Prime Minister David Cameron presented President Barack Obama with one of Eine’s paintings during a visit to the White House. Eine’s show at White Walls, entitled The Greatest, sold out and generated more than $200,000 in sales, according to court records. But, instead of paying Eine, the artist says that Giarla asked if he could use his half of the proceeds to invest in a building at 886 Geary Street. In exchange, Eine says he agreed to give him an upstairs apartment, plus a studio in the basement. That never happened. 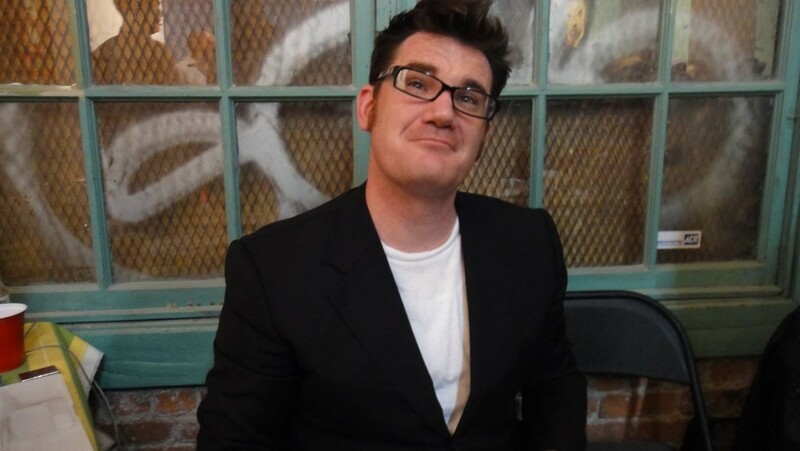 In October 2014, Eine (as plaintiff Benjamin Richey of Einesigns Inc.) sued Giarla in S.F. Superior Court, claiming that Giarla finagled him for additional paintings, to the tune of approximately $100,000, and that he never transferred the title for the promised apartment. Eine also says that Giarla committed fraud, duped and deceived him about payments, and that he even sold himself one of his paintings at a discount, then re-sold it for a profit. Records show that Eine and Giarla eventually reached a settlement agreement in January 2016, and that Eine dismissed all legal action last month, after Giarla sold his Geary Street property. Eine is not the only artist to have sued Giarla. In November 2014, French stencil artist Blek Le Rat accused Giarla of selling his artwork but not delivering payment and sued for $819,000. In February of last year, successful Belgian street artist Peter Ysebie, who goes by ROA, sued Giarla in U.S. District Court in Florida, claiming that Giarla paid him nothing from two solo shows at White Walls, in 2011 and 2012, plus for works sold at Scope Miami art fair in 2011. Giarla settled with Ysebie a week later, on February 25, and in March of that year the court issued a judgment of $127,043. In August 2015, Chicago painter David Soukup sued Giarla in S.F. Superior Court for $6,817.50, also claiming that he never received payment, and that Giarla failed to return two of his unsold paintings. The court judged in his favor in November 2015. In October 2015, Southern California oil painter Charmain Olivia sued Giarla for $9,855. She won the case, but said she was given the wrong follow-up court date and inadvertently neglected to appear. She was told that she would need to refile the lawsuit entirely, which she hopes to do. Except that, today, she has no idea where to find Giarla in order to serve him. After the third time Hess attempted to serve Giarla with a notice of litigation, she says the women who worked at the San Francisco Sherriff’s Office started recognizing her. According to Hess, Giarla would hide every time the sheriff would show up to the gallery, which cost her $40 a visit. As someone entirely averse to paperwork, it was exhausting filing most of the lawsuit herself, she said. By the time her court date came around in June 2012, she was consumed by anxiety. She didn’t eat for several days before, and vomited on the street on the way to the courthouse. And Giarla never even showed up. And, even after Hess won an $8,355 judgment in July 2012, he still refused to pay. During the following two years, she attempted several times to file levies on his bank accounts, only to discover again and again that they’d been closed. “It was just maddening,” she said. That’s when Hess began blowing the art-world whistle. She told her story to anyone who would listen, and did whatever she could to talk artists out of showing at Giarla’s galleries. But instead of being thanked, she was met with resistance. After a while, she no longer felt comfortable going to art shows, let alone White Walls. 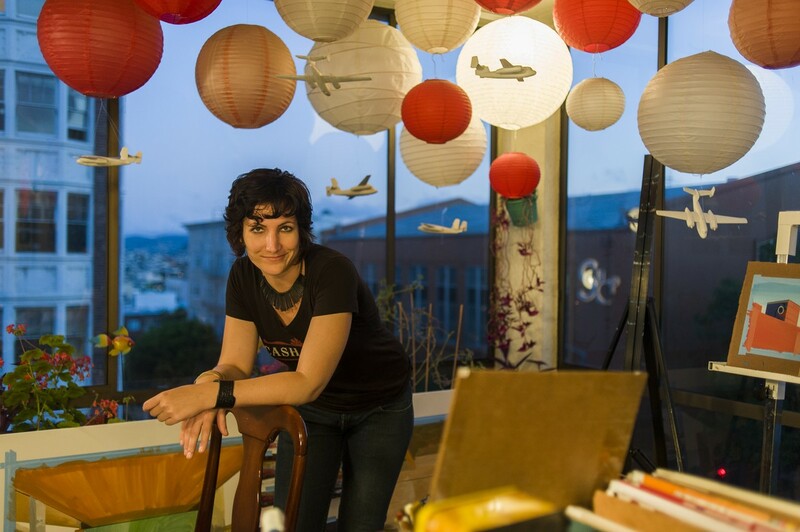 She lost many of her friends, and became isolated from the Bay Area’s creative community. “I felt like I couldn’t even walk down Geary Street anymore,” she said. At this same time, Giarla’s reputation as a grifter grew. “We all knew behind the scenes,” artist Soukup explained via email. He says Giarla would endear himself to artists, with stories of debt and promises to pay as soon as possible. He would even send checks that would bounce, three sources told the Express. Many just let it slide, sometimes for several years, in hopes that things would work out if they didn’t rock the boat. Some artists said that it simply wasn’t worth it to make a fuss, because, as emerging artists, it could be detrimental to their careers. “If you are an artist who holds the reputation as someone who bad mouths your gallery, that can make other gallery owners apprehensive to show you, even if you're in the right,” he explained. And some artists who were burned didn’t speak out because the exposure that White Walls brought made it worth it. And even those who were warned often still chose to show with Giarla. “I heard stories about [Giarla], but I figured it was in the past,” said S.F. artist David Marc Grant. “I was willing to take the risk. “I thought about suing through small-claims court, but I just got too busy.” Marc Grant claims that Giarla owes him $3,800. British artist Jonathan Darby did a show at White Walls in 2012, for which he painstakingly transformed the gallery into a shanty town — a theme inspired by his work teaching children in the Congo. Darby and Giarla agreed that 7 percent of the proceeds would go to a nonprofit, and the show was advertised as such, according to Darby. But Darby says that Giarla only delivered $3,500 of the nearly $14,000 owed to him and the nonprofit from sales from the show and artwork that he never returned. After three-and-a-half years of attempting to reach him, Darby just gave up. Some artists and collectors said that, once they were owed artwork or money, the gallery was impossible to contact. Trina Merry, a successful body painter based in New York, said she had her assistant (who she pays $25 an hour) call White Walls four times a day for several months to follow up on a refund for a painting that she had bought for $700, but that she had to return because it arrived severely damaged. On the end of the phone inside the gallery, things weren’t great, either. Napolitano and Tova Lobatz, whose LinkedIn profile says she was director of White Walls from May 2010 to November 2013, both claimed they were aware of Giarla’s debts, but didn’t know the full extent. Giarla himself was directly in charge of bookkeeping and payments, and Napolitano says he told her and Lobatz to forward all payment requests (and complaints) to him. Napolitano also said she and Lobatz frequently prodded Giarla about paying people, and even implored him to see a financial advisor. Eventually, people began reaching out to Napolitano and Lobatz on their private emails and Facebook accounts. “I know that there are a lot of artists out there that still won’t even talk to us,” Napolitano said. After her paychecks bounced three months in a row, she demanded her money from Giarla and quit in August 2013. “I believe the debts added up after making a few bad financial decisions and not being able to get help. Putting out the closest fire was Justin's constant state of being,” she wrote. Almost everyone agrees that Giarla’s most obvious financial misstep was moving into the massive 886 Geary building. Not long after that expansion, things started to go downhill. Sources say artists pulled out of shows after hearing rumors of how many people he had shorted. His once-reliable staff started walking out on him, unable to make rent due to bounced paychecks, according to sources. And attendance at opening receptions started thinning out. Also at this time, artists were warming back up to Hess, giving her hi-fives for being the woman that supposedly punched Giarla, she said. Soukup said that, by the time of Art Basel in 2014, Giarla’s scam was all anyone would talk about. “The problem is, most of us didn’t find out until it was too late,” Soukup wrote. “When you’re an artist, hoping for an opportunity, you’re willing to let some things slide. On July 31 of this year, Giarla’s girlfriend, Helen Bayly, posted a photo to Facebook: She and Giarla sitting in a car, boxes brimming in the back seat, plus a plant, a large tote, and a dog. “Crossed the border to Oregon!” the post read. It went on to describe how she and Giarla had decided to move to Portland, and that they would be looking for a house. “The Tenderloin has been great to me and I’ll fondly remember the good times,” it ended. After reading this post, Ken Harman could no longer keep quiet. He screen-captured it, unfriended both Bayly and Giarla, then posted his own message on Facebook: “Alright, if no one else is going to say something about these two leaving SF, then I will,” it began. He wrote that Giarla stole from artists. “I don't know if karma is a real thing (though I like to believe it is) but I do believe that these two people are sociopaths and criminals who prey on those who can't defend themselves,” he wrote. At that point, many artists were aware that Giarla sold 886 Geary for $3,333,250. Word spread fast when the building went on the market, and artists rushed to try to reclaim their pieces still in his possession — which, according to many sources, Giarla never attempted to return. As he cleaned the place out, rumors swirled that he was simply throwing artworks away. Artists who lived out of the state or country begged locals to pick up their backstock. But most artists’ pay day never came. That’s partly why Harman’s Facebook post garnered more than five-hundred comments, 1,400 Facebook “reactions,” and nearly 1,200 shares. Among those comments was an outpouring by artists and collectors from all over the world, who claimed that Giarla had stiffed them in some way, as well as an army of disgruntled ex-employees. One painter claimed that, after Giarla didn’t pay him, he was forced to sell his home and truck and move from the Bay Area. Others discussed putting together a class-action lawsuit. “I thought that I knew how widespread it was, but I really had no idea,” Harman told the Express. Giarla responded to Harman with a post on his own Facebook. Giarla asked that Harman retract his comments about Bayly, his girlfriend, but he never denied scamming artists. “[M]ost of the financial debt I incurred at White Walls happened before I even met Helen Bayly and to accuse her of being a culprit to something devious or intentional is just a straight out lie and fabrication,” Giarla wrote. Public records indicate that Giarla bought a home in Portland on September 23 for $666,760. He has not filed for a Portland business license or registered any corporations with the state. Giarla did not return multiple phone calls and emails. However, when a reporter visited his new Portland home and left a business card, Giarla responded. He described White Walls' closure as "a tragedy." "For 13 years I worked hard to promote the success of artists while building a business," he wrote. "It's unfortunate that factors in my personal life coupled with plummeting art sales forced me out of business that I would have loved to run for years." Giarla also said that he plans to pay back everyone he owes money. "I have been working off my debts and plan on settling every one of them," he wrote. And he also has no interest in re-entering the art scene. "In regards to my future involving the art world, I have no plans to ever run or own a gallery again. While the good times are missed, the struggles continue to dominate my experience and I will not pursue another risky venture." Today, White Walls sits shuttered on Geary Street, a hollow reminder of broken promises and squandered potential. Most artists say that there is no other Bay Area art space that offers anywhere near the same level of opportunity for low brow artists. “What’s the next-best gallery that you could show at in San Francisco, now that [White Walls is] gone?” Napolitano asked. “There’s no other one that’s really a competitor. Additional reporting for this story by Nigel Jaquiss of Willamette Week.